Rice has been cultivated in India for thousands of years. It is the staple food for more than two thirds of the country’s population. This long and close association with rice has resulted in thousand of classic rice recipes in Indian cuisine. Rice pulao is one of the most popular rice preparation in North India. Although pulao is made throughout North India, but it is Punjabis who excel this Moghul delicacy to perfection. Moghual cusine is famous for its pulao’s, and elaborate preparation and presentation of biriyani’s. They use the best Basmati rice, nuts and whole spices like cinnamon, cloves, whole black pepper, black cardamoms, saffron and bay leaves in their pulao’s and biriyani’s to in hence the flavor without changing the color of rice. The pulao is traditionally served with all the whole spices left in it, because it makes the dish look very tempting and attractive. Pulao is the most festive dish. When North Indians entertains a more festive version of rice is usually required. Pulao is prepared for the weddings, parties, holidays and special occasions. Pulao is also cooked sweet with nuts and saffron on Muslim festival. Pullao is generally prepared with different vegetables, paneer and meats, but mutter pulao is the most famous pulao in North India. 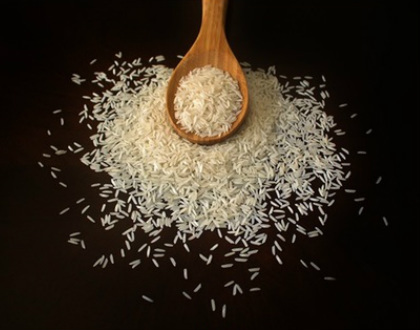 Plain boiled rice is the most cooked rice in India. White rice is eaten daily with dal’s and vegetables, they go well with any kind of dish. Please take the time to let me know what you think about my rice recipes. Your comments would be helpful to me to improve the recipes.